Commonwealth consultation is a continuous process which takes place at many levels and in many ways. Heads of Government meet regularly. So do ministers responsible for education, environment, finance, foreign affairs, gender affairs, health, law, tourism and youth other ministers and senior officials meet from time to time. Consultation over particular Commonwealth programmes brings together the heads of leading institutions and policy-making officials. These regular discussions and meetings ensure that Commonwealth policies and programmes represent the views of the members, and also give Commonwealth governments an understanding of each other’s problems. 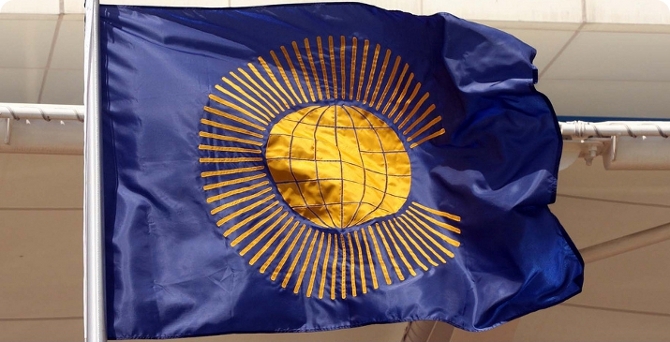 The work of the Commonwealth is done through cooperation, at three general levels: Commonwealth governments often work together in international forums to advance causes of particular concern to the association. They also learn from each other through their regular meetings. And, through their Commonwealth Fund for Technical Cooperation (CFTC), they have enabled the skills and training facilities of member countries to be shared across the association. In parallel with these activities of governments, there is the work of some 100 Commonwealth organisations which promote international cooperation in a particular professional, cultural or welfare area. The Commonwealth includes many of the world’s poorest and smallest countries, and its peoples embrace all the world’s major racial groups. The Commonwealth is also committed to the solution of problems by negotiation, and to the guidance of policy through principle. It strongly supports the United Nations system and the global moral code contained in the UN declarations. Consequently, the Commonwealth has become a powerful voice in international forums, and has come to be known as a global opponent of racism, a promoter of democracy and good governance, an advocate of human rights and gender equality, a champion of small countries and participation of young people in development, and a determined negotiator in working towards global economic systems which give a fairer deal to the poor.